It’s no secret the motivational power music has over a workout. It drives us, inspires us, distracts us, and our workouts wouldn’t be the same without it. Have you ever driven to the gym only to realize you forgot your iPod, then had to have a serious in-your-head discussion as to whether or not you were going to turn around and call it a day? 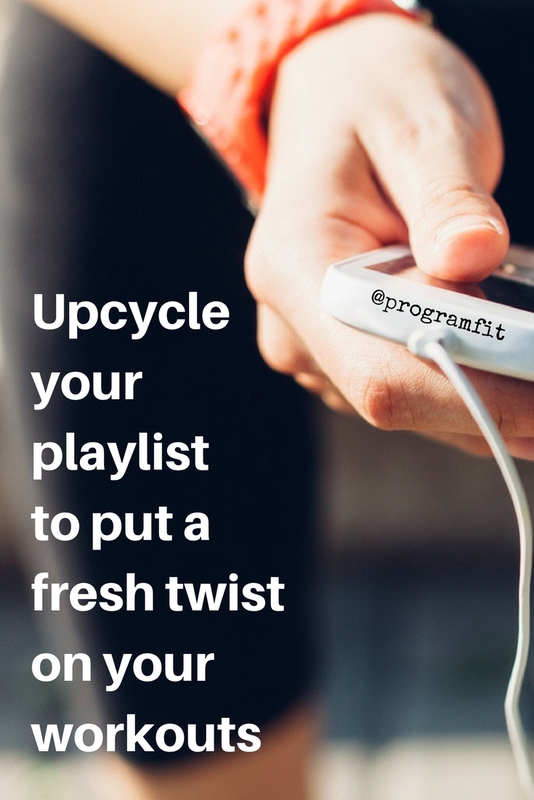 If you are someone motivated by music, you most likely have your playlists categorized by workout type, with the amount of angriness in the music correlating directly to the level of seriousness that’s about to go down. So, that’s probably the “worse” part. The “better” part of my beat co-dependency means I’ve been able to creatively use music as a tool to aid in my training, instead of just using it as background entertainment. Interval timers are a useful tool. In a generic, systematic, sensible and measurable way. The problem is that sometimes generic, systematic, sensible, and measurable can be a straight up snooze. Every once in a while it’s fun to ditch protocol. Dissecting your playlist to find the most interval-worthy songs will do just that. Interval-worthy songs are those that have a distinguishable verse and chorus. Easily noticeable, and preferably one with a bridge that gives you a heads up that the chorus is coming. For higher intensity intervals use the chorus for the work phase and the verse for the recovery. For example jog/march in place during the verse and plyo switch lunge on the chorus. For lower intensity intervals use the chorus for the recovery and the verse for the work. For example, jumping jacks on the verse and forward stepping lunges on the chorus. Use the transition from the verse to the chorus to totally switch exercises. For example, squat during the verse and hit the ground for push ups during the chorus. If you’re a walker trying to get better at running, use the verse for walking and jog during the chorus. As you get fitter you can flip the script and save the chorus for walking. Basically the song is your coach, prompting you to switch your move – or intensify the move -depending on the part of the song. And if you know the song well enough or if it has clear cut transitions, you’ll know exactly when to change moves. All the no-thinking-necessary benefits of an interval timer, with a less systematic and jazzier twist! Using the BPM (beats per minute) of the song to keep pace is a practice heavily used in group ex classes. In fact, certifying agencies have recommendations for music tempo depending on the training type. Many indoor cycling instructors also use the BPM to help stay in the correct RPM (revolutions per minute, but also known as your cadence or your speed) range. In the Spinning® program, the distinguishing factor between a climb and a flat road is the rider’s RPM. So, an easy way to ensure a proper pedaling pace is to ride to a song that correlates with the same BPM. For example, according the the Spinning® guidelines the RPM for a climb is between 60-80, which means pedaling to the beat of songs that have a BPM 120 – 160 (doubling the RPM) will keep the rider in the sweet spot. This music method is not actually a protocol of the Spinning® program. In fact, they believe the music is secondary in importance to the actual profile of the ride. However, my participants often tell me how much more natural and enjoyable it feels to them to be able to ride with the beat of the music. So, there’s no reason this beat-movement connection can’t translate to your own workouts as well; specifically running and walking. You might be surprised how your body naturally responds to a change in tempo. If you’re trying to tighten your mile time, select a playlist with songs that have BPM’s to match the pace you’re trying to achieve and see what happens. How do match your music to your pace? Set a timer for 30 seconds and begin counting how many times your foot strikes the treadmill belt during those 30 seconds. You might need to do it a few times and take the average. Multiply that number by 2 to derive your strikes per minute. Let’s say you set the treadmill for a 7:00 mile and your strikes average 68 per minute. You’ll find songs in the 136 BPM (multiply strikes by 2) range will best match your pace. If you’re trying to break into the 6:00 range, you’ll want to select songs that are faster than 136. The wonderful web houses some snappy resources that’ll help you match your music to your pace. Jog.fm is one of them. Simply feed it your mile time and it’ll offer you a selection of tunes that’ll keep your feet happy. Then you can purchase the songs from iTunes, Amazon, or listen on Spotify. Another handy app I use religiously is Tempo Magic, which allows you to import your already existing songs from your iPod library. This is good for two reasons; it’ll tell you the BPM of the existing song as well as allow you to adjust the BPM (to a certain extent) to better match your desired pace without the song getting all chipmonk-ey. Any training program worth its salt includes regular assessments to monitor progress. Even if you aren’t following an official “program” you should have some sort of handle on whether or not you are improving, declining, or maintaining your fitness level. Luckily, it can be as simple as firing up one of you favorite tunes! Pick a mode of exercise. For this example we’ll select jumping rope. Push play on your favorite (high energy, fast tempo) song. Complete as many jumps as you can during that song. If you have to stop or get tripped up, just pick up where you left off with the count. Record the total number of jumps you get before the song is over. The “song test” is nothing more than a jazzier stopwatch but it can be a bit more of an appealing option than watching the numbers on your phone tick by. And you can basically use this with any mode of exercise – jumping jacks, squats, running (see how far you can get with one song,) or a combination of several drills. If you have specific methods for using workout songs, please share!